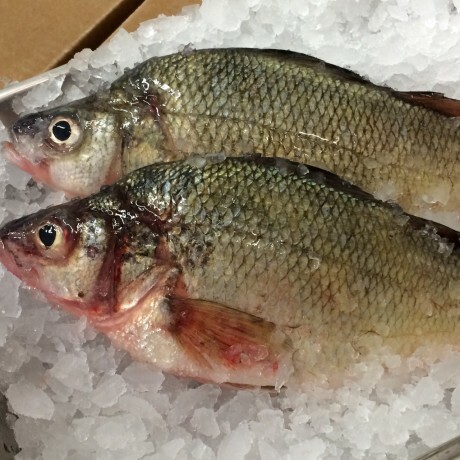 The white perch is close in relation to striped bass. 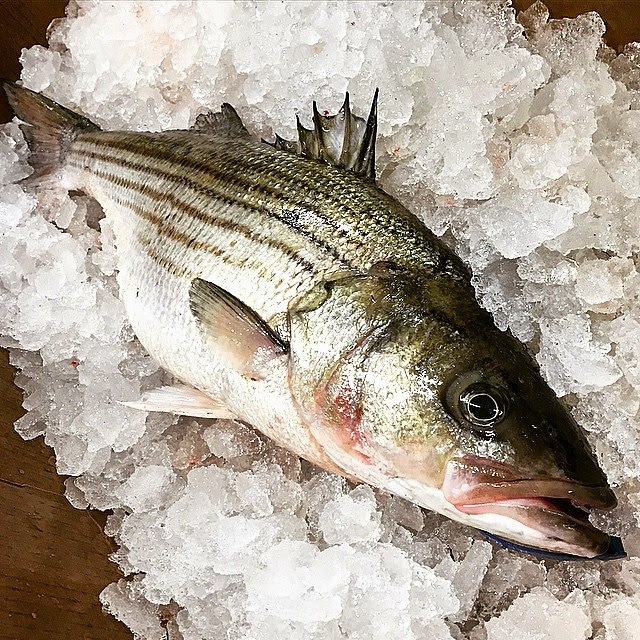 Think of it as striped bass’ smaller cousin. 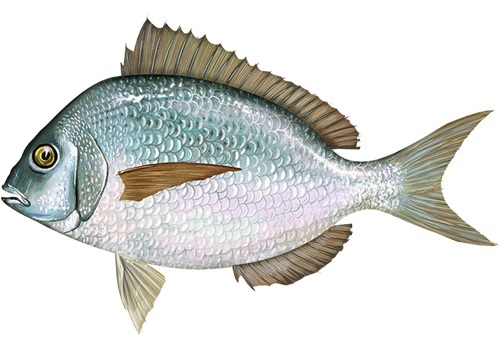 It is a small panfish, rarely growing to greater than a pound. 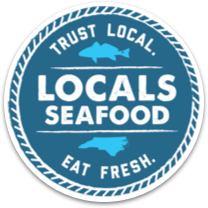 These fish can be found in abundance throught in estuaries throughout the Southeast. 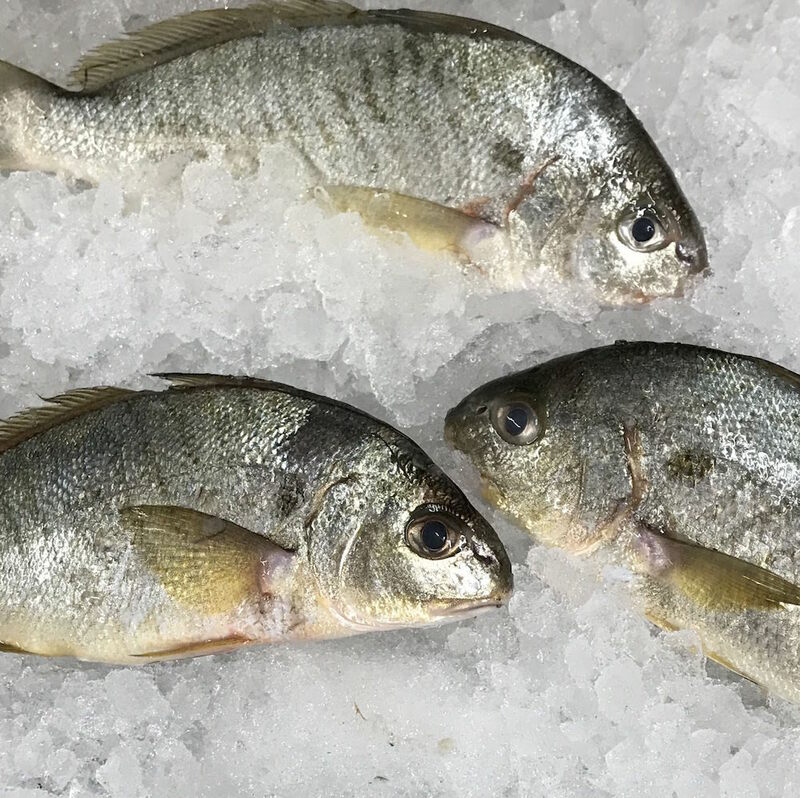 The flavor of white perch is similar to that of striped bass: mild but with a more delicate, white meat. Traditionally, they are roasted whole in the oven or pan fried.